Just back from Burundi for reports on malaria. 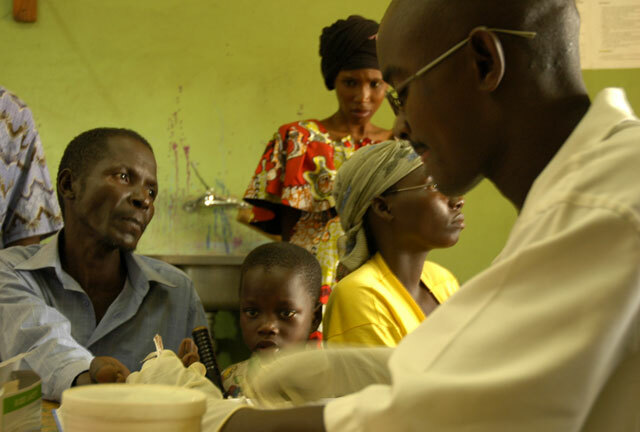 More than 80 percent of the Burundi people are at risk to get malaria each year. I visited health centers and was talking to many Burundians, being dependent on donor money for their free malaria treatment. Other than a lot of people in the West might think, malaria is still the killer number one in Sub Saharan Africa. It kills more people than AIDS does. Three years ago the Burundi government decided to introduce a very efective ACT treatment as First Line of defence. Death figures went down dramatically. ‘But now part of the treatment program is at risk, which means thousands of people will die in stead of live.’, says Minister of Health Dr Barnabe Mbonimpa. According to the Burundian minister of Health only in Burundi thousands of people are dependent on money of the Global Fund for their treatment. I took this picture in a health center in Bujumbura, people are being tested if they have malaria here. In another health center, I saw this little kid getting a blood transfusion. It is the last attempt to save a life after other treatments have failed or, which is more likely, people where not in time to get their treatment for any reason, most of those have to do with poverty. Washington, April 24 — This week, the world’s largest source of funding for health programs, the Global Fund, is considering whether to proceed with issuing new grants this year. All three diseases its addresses are at crisis proportions, but the Fund’s Board, meeting in Geneva April 27-28, could decide to postpone providing urgently needed resources until sometime next year or even later. 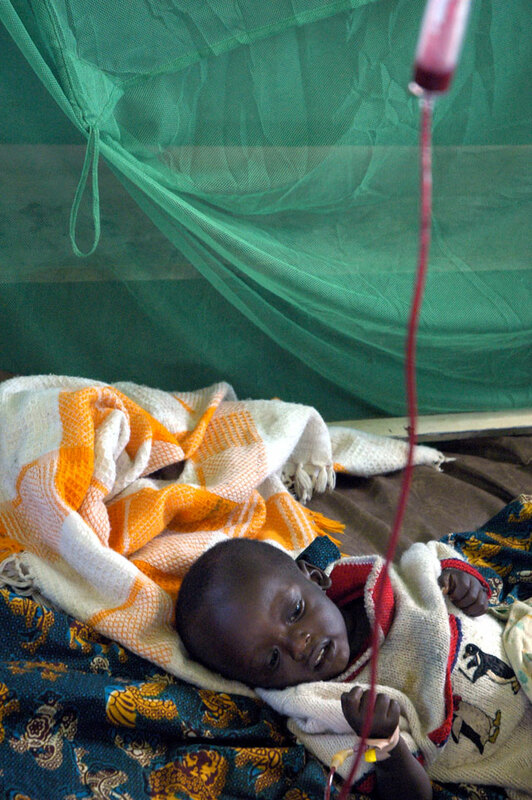 In Africa alone, 3,000 children die from malaria every day. The Fund provides about half of all external funding for malaria programs. Contributions to the Fund have been inadequate, and the US and other members of the Board seem ready to urge the Fund’s work be delayed. However, the Fund has or will very soon have enough resources to meet the needs of another round of grantmaking, and many other board members support going forward with Round Six. The Bush Administration says it backs the Fund, but it has asked Congress to provide 45% less funding for the Fund for 2007 than is being provided in 2006. Last month, Mark Dybul, the Deputy US Global AIDS Coordinator, backed the cut, stating, “The President’s request strikes the right balance for Fiscal Year 2007.” He told Congress that the US is the largest contributor to the Fund, but the proposed cut would actually leave France as the largest contributor. Fortunately, Congress seems likely to reject this cut. The Fund is a key part of the global effort to meet key benchmarks on AIDS, one of which is to ensure that by 2010 everyone who needs AIDS treatment has access to it. African civil society groups are backing a target of “10 by 10,” since by 2010 about 10 million people will need AIDS treatment. While Dybul has stated that “it would be nice if we started listening to Africans as they’re fighting their own epidemic,” the US actually opposes this target, preferring a vague statement of intent.